The mystery of the Apex Legends Nessy Easter Egg has been solved, and here’s how you can do it yourself. Apex Legends players have found a fun little Easter Egg in-game, and it’s a Nessy plushie paying homage to Titanfall. The little Loch Ness Monster has been present in Titanfall maps since the original game, and there’s nothing cuter than a stuffed Loch Ness Monster, right? Nessy resurfaced recently in Apex Legends when “A Nessy Appears…” message started popping up in the game’s kill feed. After this, players started finding various Nessy plushies on the map, and tried to figure out their purpose. Luckily, YouTuber Miguel Lozada has you covered with a handy map to solve the Nessy mystery. There are 10 Nessy plushies on the map, and you will need to shoot them in a particular order to unlock a mini-event. Bring some friends along for the ride, because according to Dexerto, you’ll need help. Obviously, the end result is a massive spoiler, so don’t look below the map if you wish to remain in the dark. SPOLIER: once the final Nessy plushie is shot at the swamp, a massive Loch Ness Monster will rise out of the water on the edge of the map. At this point, appearing and letting out a roar is all the creature does, but surely it will have another part to play in the future. Fun times. Hop into the game and have some Nessy fun. 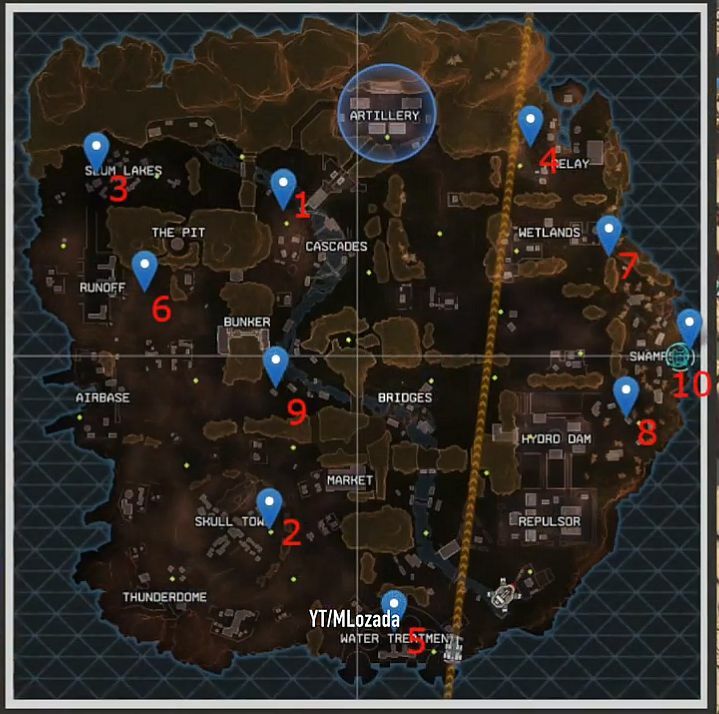 Speaking of the game, if you need some help getting started, here’s some Apex Legends pointers.